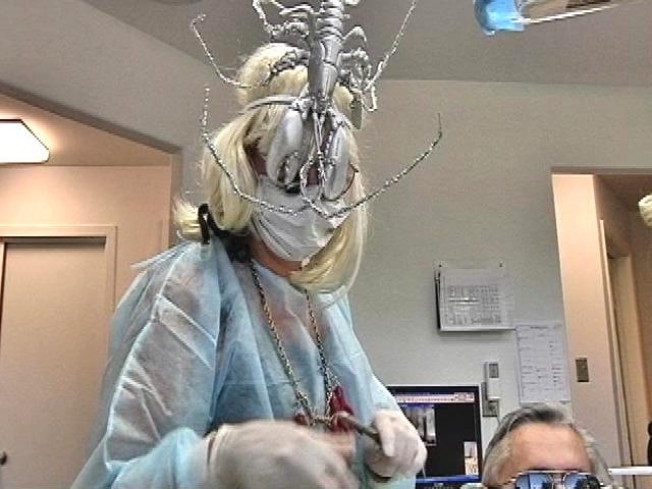 In honor of Lady Gaga's Monster Ball tour coming to town, Dr. Susan Pearson and her team at her Silver Spring dentist's office dressed up for their patients Tuesday. They cleaned teeth and filled cavities as monsters. The singer's tour hits the Verizon Center at 7 p.m.